March | 2014 | Comtalk Inc. The Features Description for the 6408D+ is it is capable of 2 lines-24 character total LCD Display, it has 8 programmable call appearance/feature buttons. It has Navigation Keys for a Menu, Next, Previous and Exit. In addition a Fixed Feature Buttons that include Conference,Transfer, Hold, Speaker, Mute and Redial. A Built-in 2-way speakerphone. With 8 personal ring options. Four soft keys for menu functions, Also included, 12 soft key default features with access to 18 alternative soft key features. Included is our rock solid 1 year warranty. 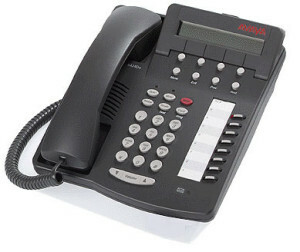 For more information visit our Library for Avaya Definity 6408D+ Digital Telephone. AVAYA INTUITY Release 4.0 available at Comtalk Inc.
We are industry experts in Avaya Intuity Systems, and Parts, which include Avaya Intuity Audix LX, Lucent/Avaya Intuity Audix MAP5P, MAP40P and MAP100P. Comtalk Inc. carries a wide range of Avaya Intuity Parts: Adapters, Controller Circuit cards, Interface cards, LAN cards, Maintenance boards, Speech and Signal Processors, Voice Port cards and others. system Release 4.0 a desirable voice messaging solution for customers worldwide. organizations, individual subscribers, and AVAYA INTUITY AUDIX system administrators to help streamline information exchange among employees. sales@comtalkinc.com> or Call us at 800-955-6082.